Since the birth of the FIAT-rosary an apostolate arose and developed. An association, without commercial goal, was founded in 1987 (in Belgium), in accordance with the law of June 27th 1921. The association bears the name of “FIAT Association” (“Association FIAT” in French). The association is registered in the official list of companies and organisations of the Kingdom of Belgium under the number 431 261 802. The International Secretariat handles the daily work of the organisation. 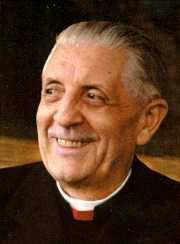 The FIAT Association is situated in the context of the Catholic Church. Her apostolate is at the disposal of the local bishop or his representative. “One is not a Christian alone.” From out of this dynamic the Fiat Association offers Cenacle groups for service to the Church. activities of the FIAT Association. Anyone who wishes can participate in the FIAT apostolate, locally, in a diocese, or elsewhere. received and make sure that the FIAT association, already for 30 years, has been able to continue its apostolate. The group “Friends of FIAT” originated within the FIAT Association. These friends, coming from the five continents, try to get together about every 3 years. “Historians will no doubt trace with competence the ‘external portrait’ of the Cardinal; they will list his accomplishments. God alone will know his ‘moral portrait’. Only God knows his moral profile, for He alone knows the love that is in the heart of people. 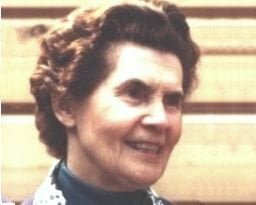 If Cardinal Suenens was the most renowned individual in the history of the FIAT Association’s development, it is Veronica O’Brien who was its mainspring. Here is a summary of her life, followed by a few tributes collected at the time of her death. Louise-Mary O’Brien was born in Middleton, Ireland, on 16 August 1905. She was the eleventh of thirteen children. Inspired by the holy Louis-Marie Grignion de Montfort and the spirit of Vatican II, the FIAT Association tries to participate in the mission of the Church, in a humble manner. In order to understand a movement, one has to look at its origins. There is what is called the grace – or the charism – of the founders. In the case of FIAT, there is the exceptional grace of Veronica O’Brien, and her longstanding and fruitful collaboration with Cardinal Suenens. There is also a little group around them: the people who have made the apostolate of Veronica O’Brien and Cardinal Suenens possible. In order to understand the actual grace of FIAT, we have to see it as the result of three important movements in the Church, that have occurred over the past 50 years. The Second Vatican Council, during the sixties. The Charismatic Renewal, during the seventies. The spirituality of the Legion of Mary has been inspired in an important way by the spirituality of Saint Louis-Marie Grignion de Montfort. For that reason the little booklet “The Secret of Mary” is required reading in order to understand the spirituality of FIAT. The Legion of Mary is at the same time a spirituality and a means for the apostolate. In order to help believers grow in the grace of the Christian life received in baptism, “FIAT” proposes certain foundations for the spiritual life for personal use, in the form of a little rule of life. For prayer and the sacraments help us to allow ourselves to be transformed by the Lord and to understand Him better. The need to devote time to the Lord, for his own sake, will clearly not prevent us from performing our many obligations in life, but rather can help us to fulfill them better. This spiritual itinerary, presented in the form of a little rule of life, is made up of different counsels, which are those of the Church, and which each person can put into practice according to his or her capacity, personal situation and call from the Lord.